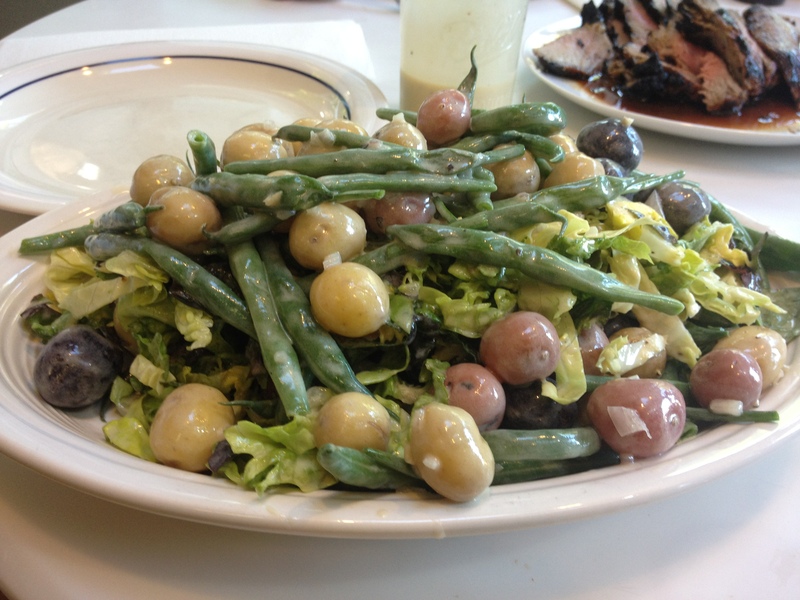 All of you looking for a great side dish for the summer… look no further. This salad has it all- your greens, your veggie, your potato… It can be prepared ahead of time, AND it is delicious. This is out of Ad Hoc at Home. 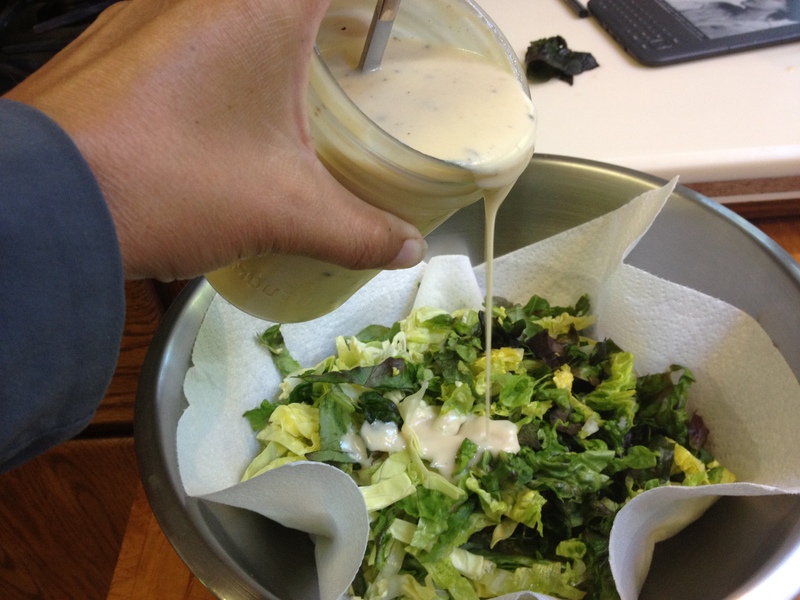 First step- make the creamy pepper dressing. IT IS WORTH IT. Do it. Might seem like a pain- but your taste buds will thank you. Mark won’t stop talking about this dressing. pop them in a small pan with some Banyuls Vinegar. (We found this at DeLaurenti) Could probably sub, but I plan on making a lot of this dressing- so it was worth the extra effort. 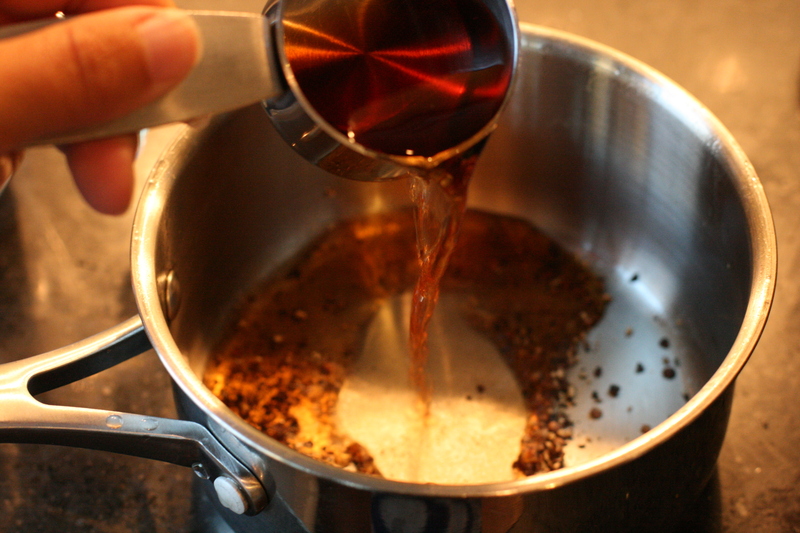 Add honey and reduce by half. Next, whisk in your aoli (which of course you previously made) with buttermilk and creme fraiche. 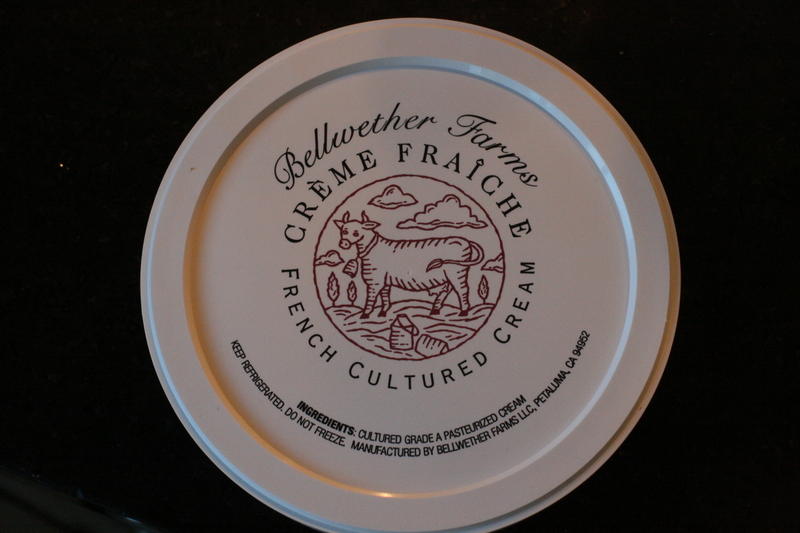 not sure why you need a creme fraiche visual… but I love it so much. PS. My Aioli did NOT turn out. It never set up- but I figured that since I was using it for dressing… eh… no bother. 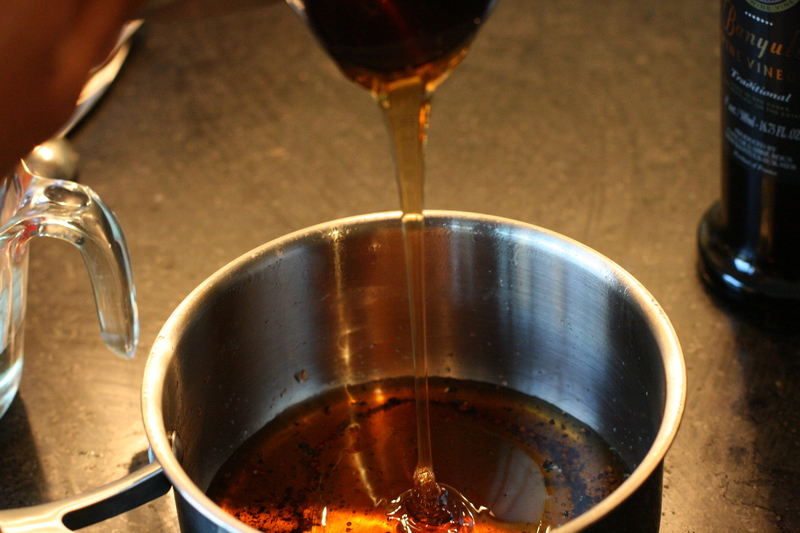 Combine all ingredients while vinegar is still warm and it will keep in your fridge for a week. Any one notice Tom is all about sachets? For some reason I hate making these. 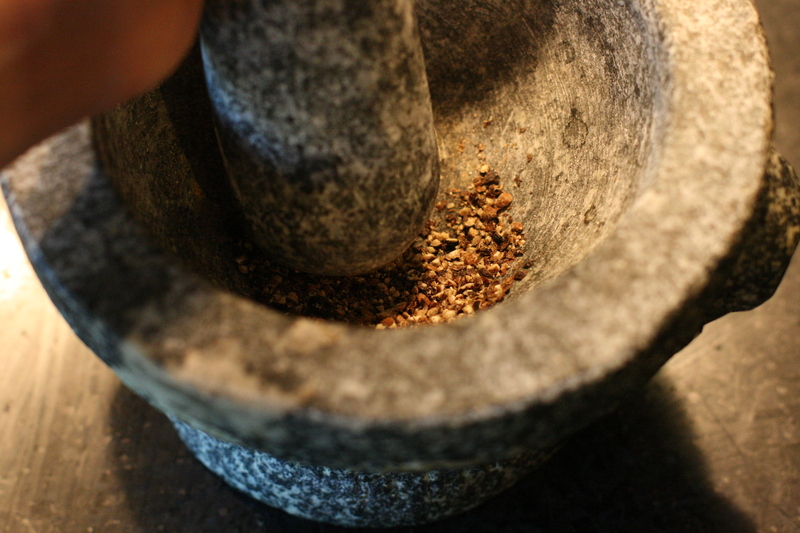 I find them to be fussy- so I usually skip this step and then curse myself later when I try to fish out all of the renegade peppercorns. 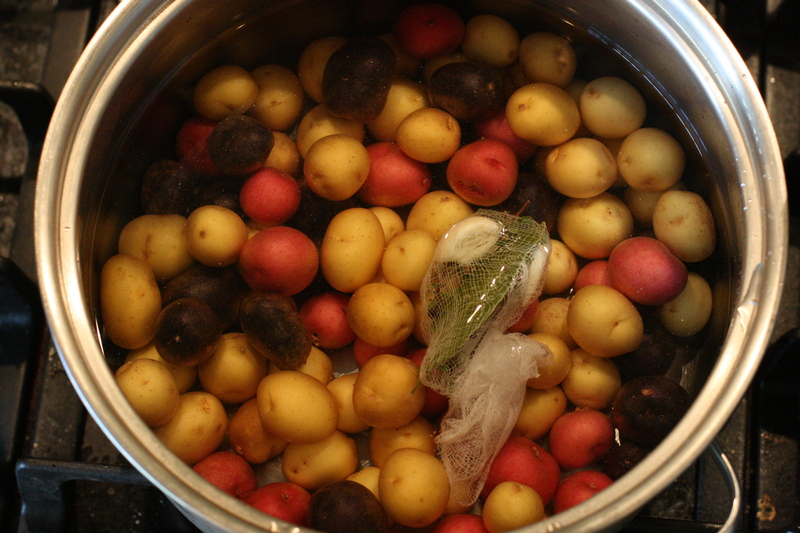 Put your sachet with your potatoes. 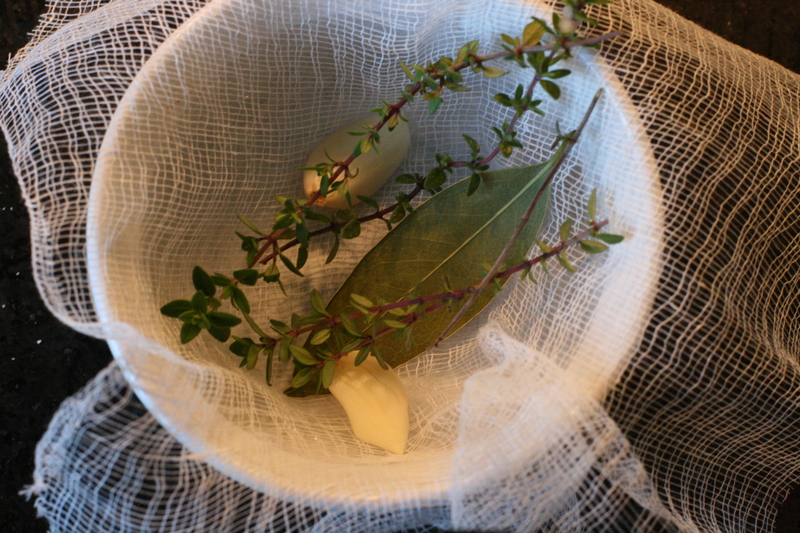 Cover with water and boil until tender. Cool on a tray. 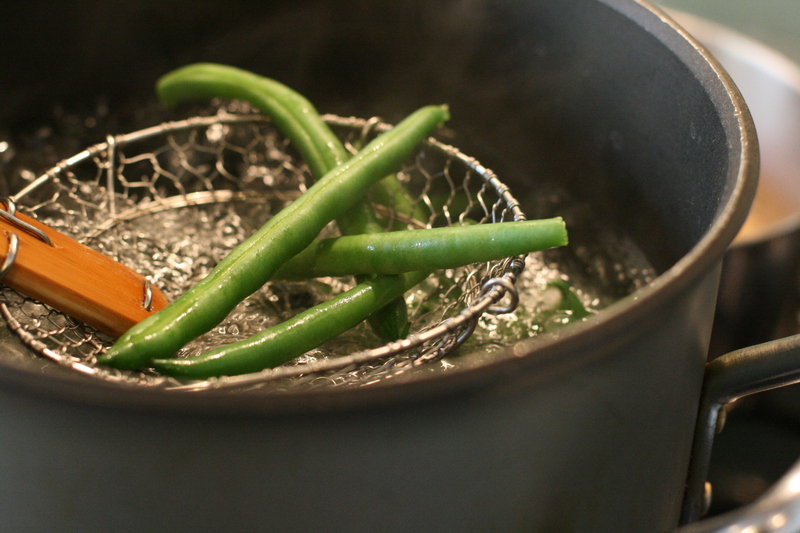 Take your lovely green beans and blanch them a couple minutes until crisp tender. ICE BATH. don’t skip this step. Then drain on racks. Don’t they look lovely? 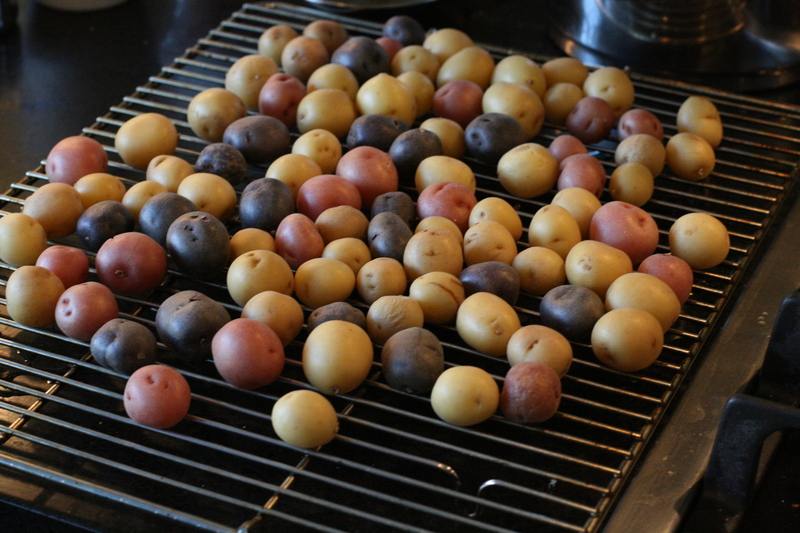 At this point they can be mixed with some sliced shallot and the potatoes and they are good to go. When you are ready to serve your salad, mix some of the dressing with some sliced bibb lettuce. Why did I leave the paper towel in the bowl? No matter. Then mix dressing with the potato / bean mixture and layer with the lettuce. Lettuce, beans, lettuce beans. I guarantee you will LOVE it. I’m using this all summer. 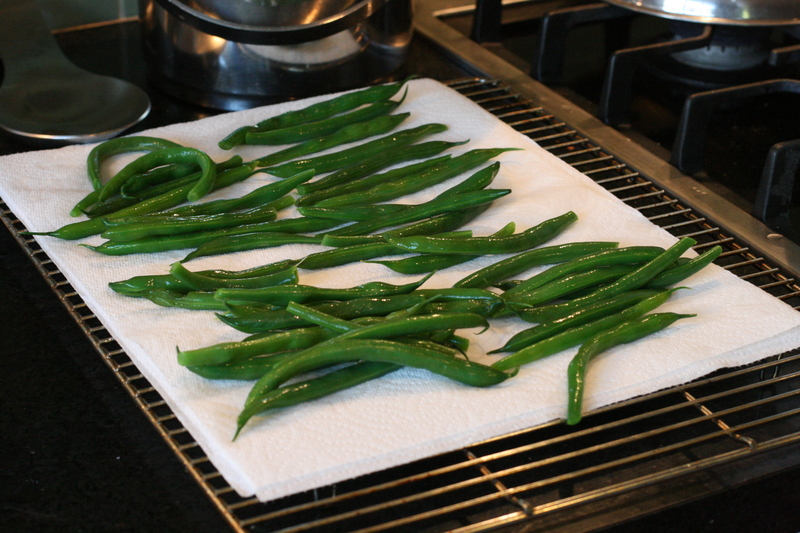 Sometimes with no potatoes and just beans- may be with other spring veggies- possibilities are endless. This entry was posted in Salad, Side Dish, Vegetable. Bookmark the permalink. That looks delicious! And yes…lots of steps. 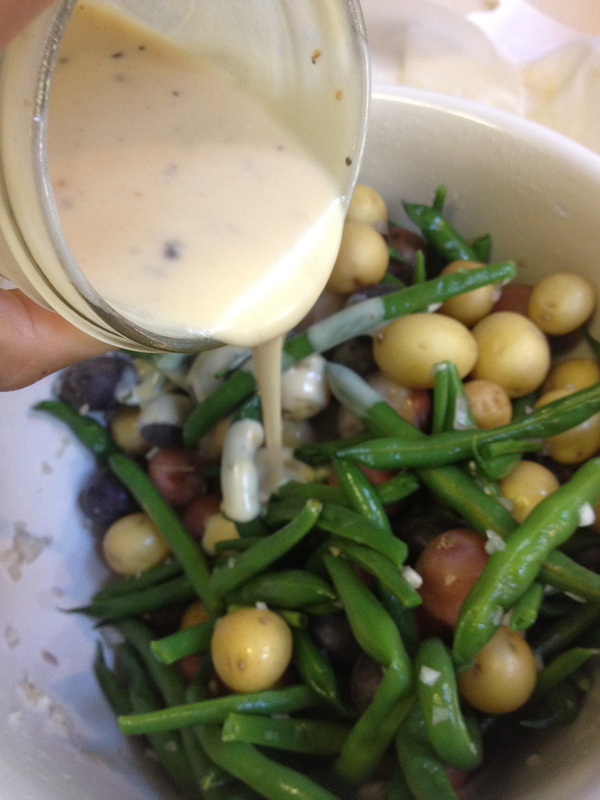 The aioli to the homemade dressing is so worth it though!